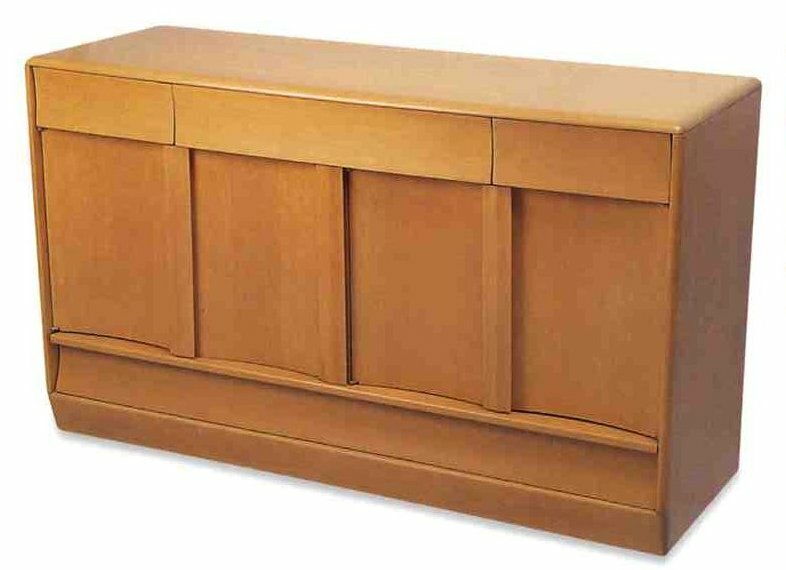 Amazingly, my husband had just bought me a book about vintage Heywood Wakefield and I used it to turn up the 1950 Joseph Carr-designed credenza in the photo at the top. I think the lines are very similar to Julie’s built-in. Also, there are other famous families of Heywood Wakefield — namely Kohinoor and Sculptura — that also are similar. I am not a wood species person. Is anyone out there? The famous blonde Heywood Wakefield was maple or birch. What about Julie’s built-in? 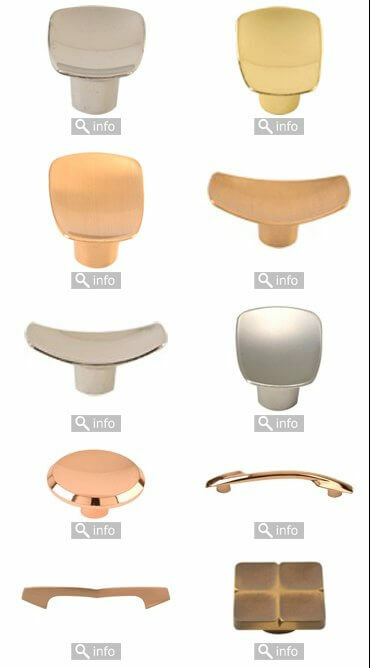 For the second part of Julie’s question – about coppertone knobs, I turned to a couple of sources and hit it bigtime at Liz’s Antique Hardware online, which currently offers a nice selection of antique coppertone, chrome and other finish knobs in the satellite-cone styles we are all raving about this week. (Screen shots above, at at the bottom of this post – nice selection right now!) Julie loved these, and said she would order some sample. Julie, you must report back! Hello Pam & retro all! A well deserved congrats on your kitchen spot ! pricey? hmmm – very cool – yes! And guess what? 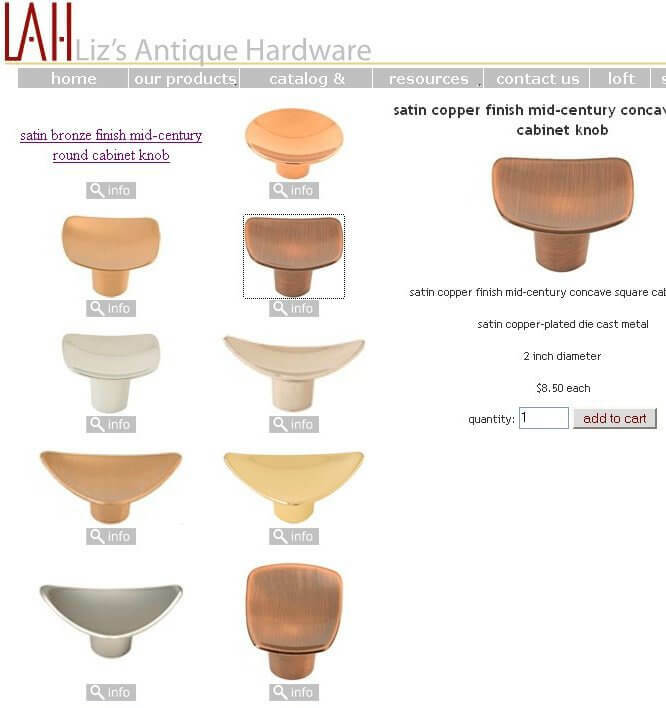 This ebay find of DigRetro’s is also — Liz’ Antique Hardware! Happy shopping (and salvaging) everyone, and thank you Seattle Julie, and DigRetro! A salute to Julie for wanting to preserve and enjoy this interesting, probably one-of-a-kind built-in cabinet. My husband, who does some woodworking, thinks the piece could be sugar maple, with the top and verticle supports appearing solid, and the door and drawer fronts probably veneer. 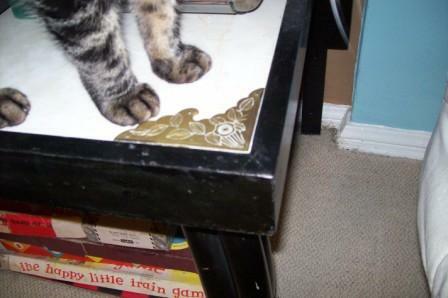 But, he stresses that this is a guess coming from just looking at the photo. We have the pinky coppery hardware on our maple kitchen cabinets (recently purchased at the ReStore) and we really like the look. Thanks, Judi aka Sumac Sue! I ran across your post today on this wonderful website I just found (how have I missed out on this for so long?) 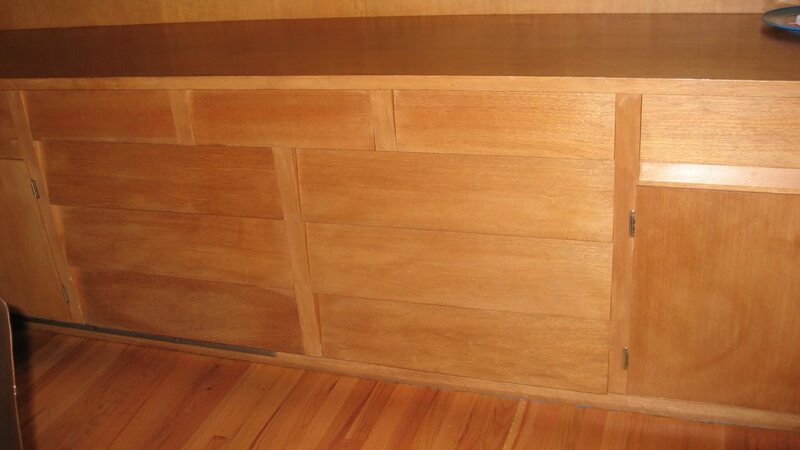 Anyway, our midmod home has built-in drawers that look just like yours! Ours appear to never had any hardware on them. 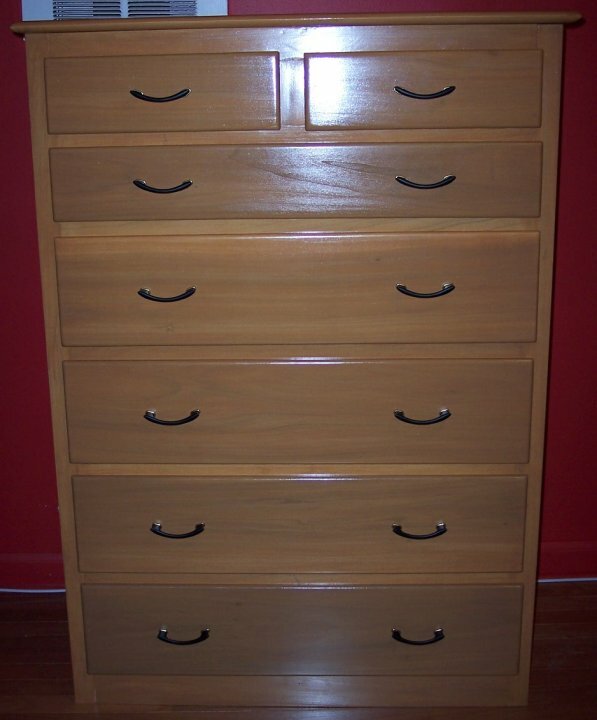 Since each drawer flares out at the bottom, they seem to be designed to be grasped from the bottom lip to pull the drawer out. Or, at least, that’s how we’ve been using them. My guess is it is bleached mahogany.